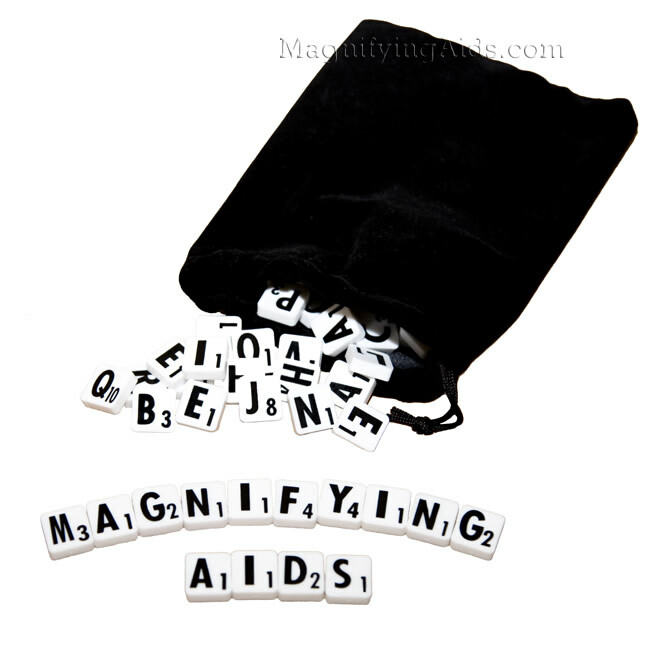 These Low Vision Scrabble Tiles make playing Scrabble easier on your eyes. You’ll be able to enjoy the game more and play for longer periods without eyestrain. They are a perfect substitution for the standard tiles found in your Scrabble board game, especially for the visually impaired. * Bold black extra-large 1/2" letters set on a bright white tile. * Durable, long-lasting plastic tiles. * Tile measures: 11/16" x 11/16". * Contains 100 tiles - black bag not included.